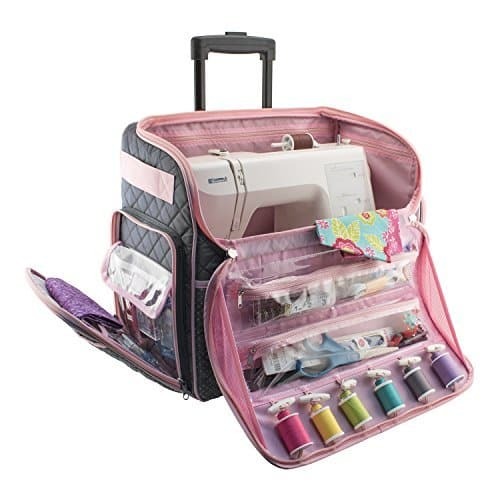 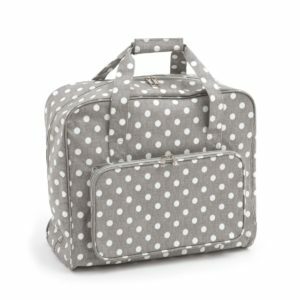 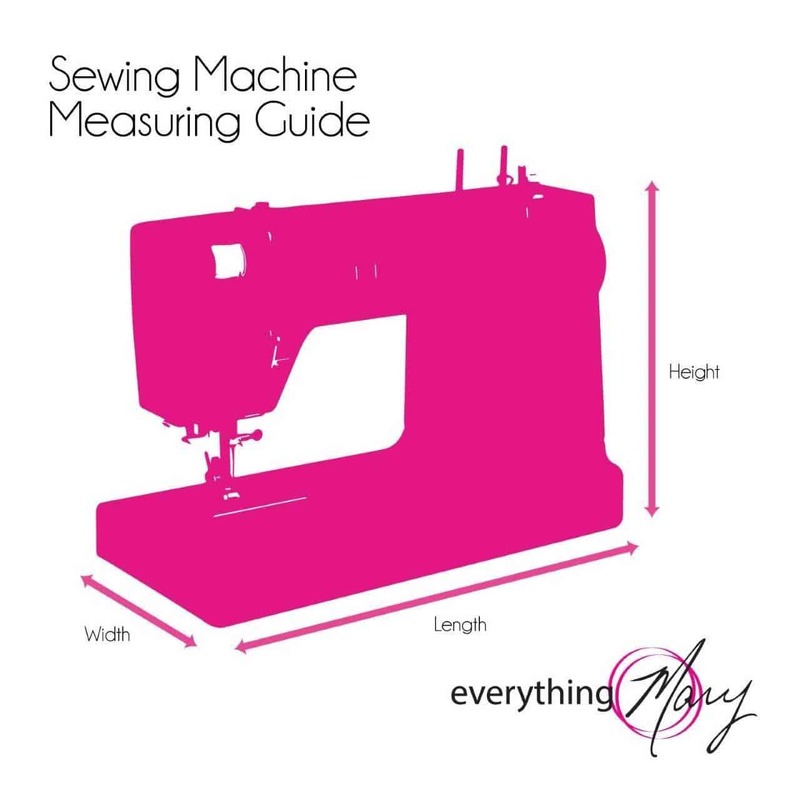 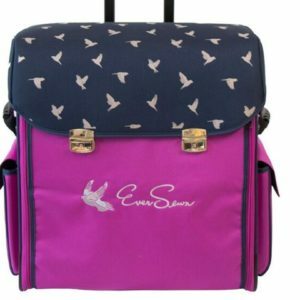 PERFECT SEWING COMPANION – The Everything Mary Rolling Sewing Tote is perfect for all of you sewing storage needs. 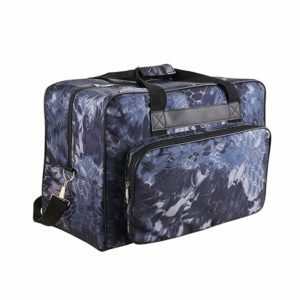 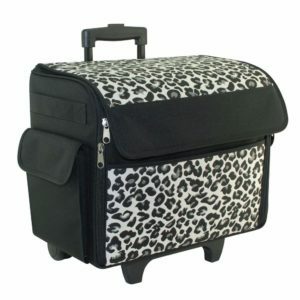 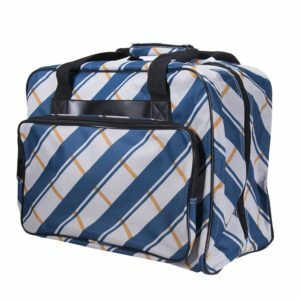 Sewing machines can travel in style in the Everything Mary rolling sewing machine tote. 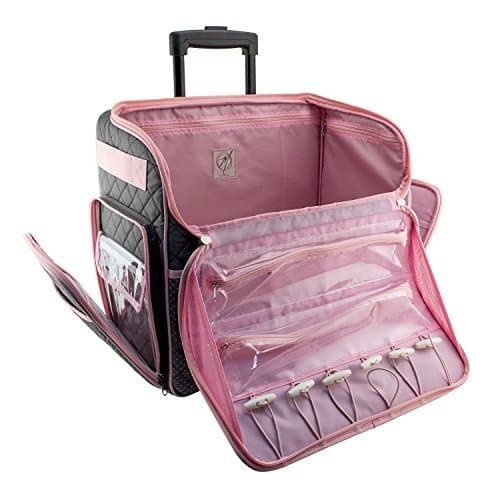 Besides being a great way to protect and travel with your machine, this tote has several fantastic storage features: two side pockets with clear storage compartments work as great pattern holders, while long zipper pockets under the lid store needles, scissors and all your other notions. 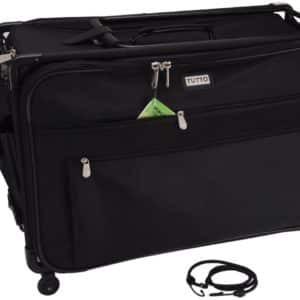 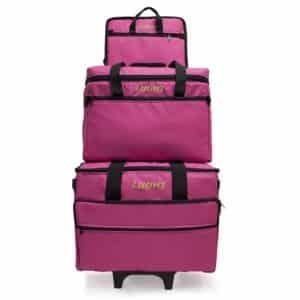 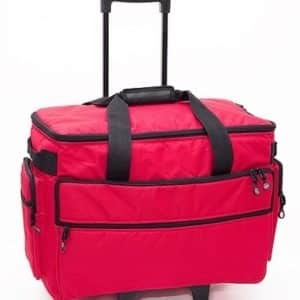 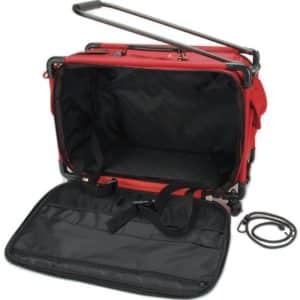 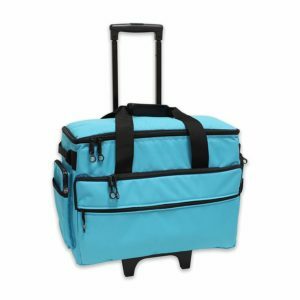 With an adjustable, telescoping handle and inline wheels, this bag is perfect traveling. 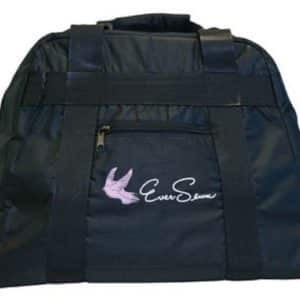 This tote is made with the end user in mind and crafted with the highest quality materials to ensure the best product possible. 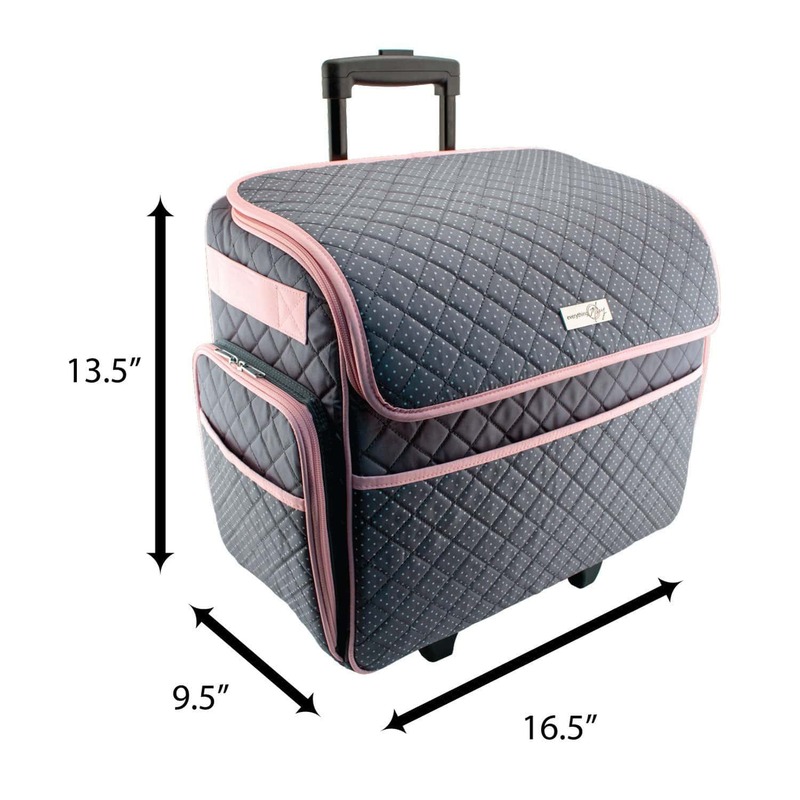 We packed all of these features into a slim, 6.2lb tote that easily stores wherever you need it. 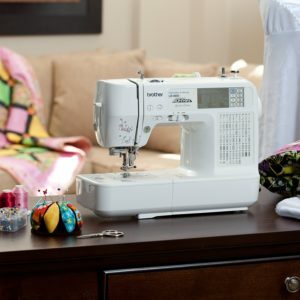 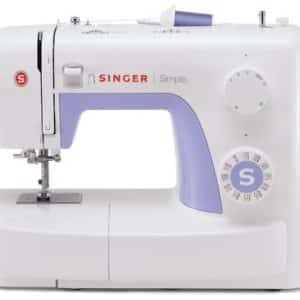 With multiple storage pockets and a large sewing machine storage space, finding room wont be an issue. 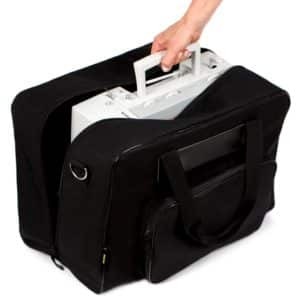 This tote holds up to 16.5″L x 9.5″W x 13.5″H sewing machines. 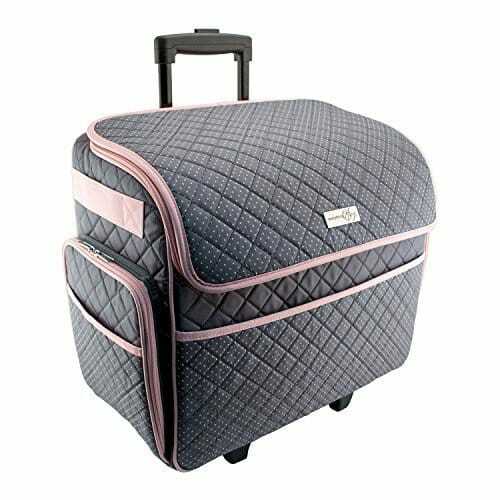 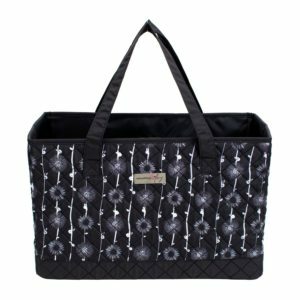 With a quad-roller wheel construction and quilted microfiber pattern, the Everything Mary rolling sewing machine tote is both the practical and attractive companion for any serious sewer or crafter.